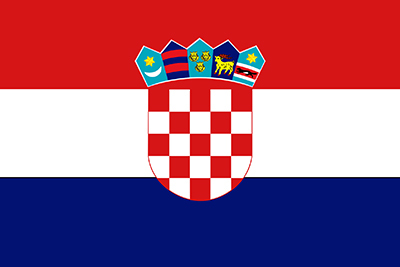 Republic of Croatia is situated in South-Eastern Europe at the crossroads of the Adriatic Sea and the Pannonian Plain. Croatia borders with Hungary in the north, Slovenia in the north-west, Serbia in the north-east, Bosnia and Herzegovina in the total length of the lower part of the Croatia’s crescent shape, Montenegro in the extreme south, and Italy and Slovenia on the Adriatic Sea. Zagreb is the capital of Croatia and also the largest city in the country. It is situated in the north-west of the country, along the Sava River with a population of almost one million inhabitants. It is the political, economic, cultural and scientific centre of Croatia. Croatia's Adriatic Sea coast contains more than a thousand islands. The country's population is 4.28 million, most of whom are Croats, with the most common religious denomination being Roman Catholicism. Croatia is classified as an open and developing economy by the International Monetary Fund and a high income economy by the World Bank. Traditionally, Croatia is a tourism oriented country. The Croatian currency is the Kuna (not the Euro! ), which is divided into 100 lipas.